Buy a classic car for £80! – HubNut – celebrating the average! Buy a classic car for £80! Yesterday, I found much joy hiding in a field in mid-Wales. A selection of iffy classics hoping to find salvation. 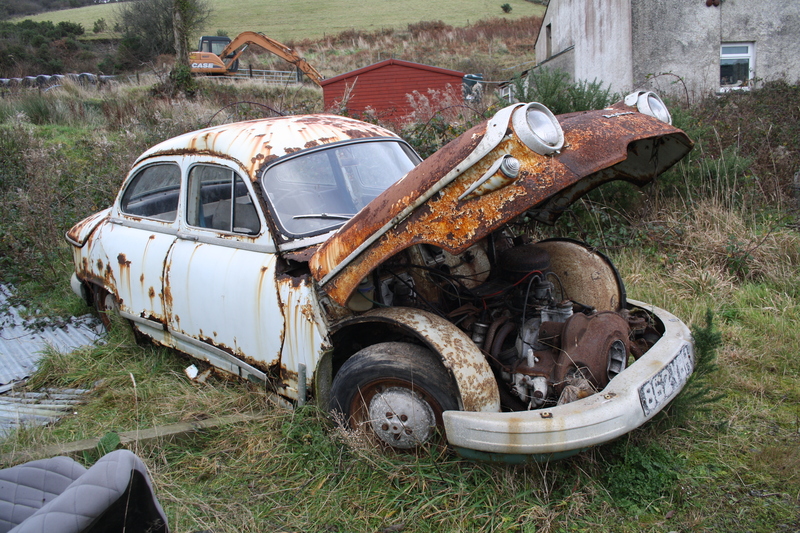 As well as a right-hand drive Panhard PL17 that only needs a miracle to see the road again, there was another French classic that you very rarely see these days. 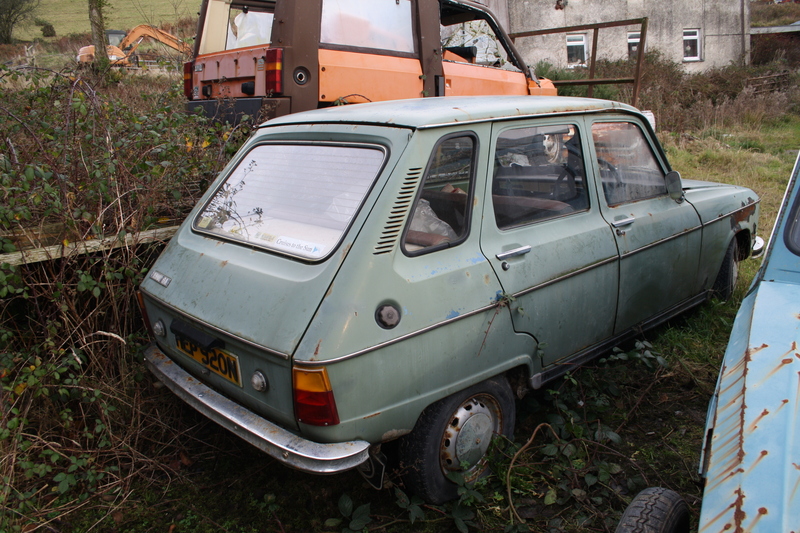 A Renault 6! As you’d expect, the 6 is not in the sort of condition that would impress a concours judge. It has been off the road since 1993 and while barn stored for most of that time, it has spent the past year sitting outside in a field. Despite this, it seems remarkably solid. The biggest problem is that it has been lifted with a strap by the roof, so it has buckled slightly either side above the front doors. This distortion certainly looks ungainly but the doors still open and shut very nicely indeed. I wish I could save it but alas I’m skint enough as it is. I do fear for this car’s future though as the 6 has never really gained a following in the UK. 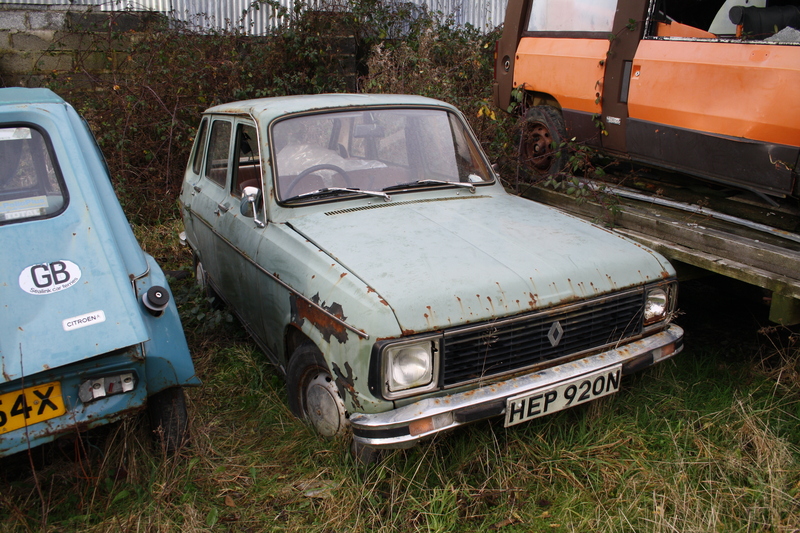 There’s a very nice one for sale at the moment for £1200 – this doesn’t help either! While very solid, there’s no doubting that a thorough overhaul is needed. These engines don’t like standing around and if I remember correctly, use liners, so a thorough strip down is needed really. I’d imagine the brakes are in a dreadful state too. The Renault looks factory fresh compared to the Panhard. Apparently £300 will secure this. You’d have to be brave to restore it. £300? This has also been lifted by the roof, but has suffered much more from that. If it was stored in a barn, this must have sat under the leaky bit too as it’s thoroughly rotten. It is complete though and surely a good source of spares. I do wish I had money. And a very big barn. If you’re interested in any of these vehicles, get in touch. They’re located not a million miles from Lampeter. I’m hoping to salvage the Dyane body.